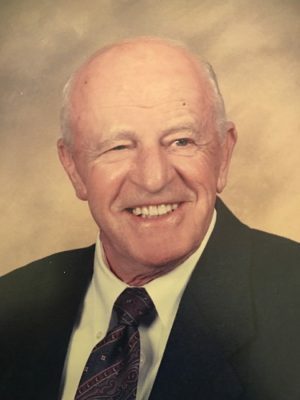 Walter A Kinell Jr., 89, of Westborough passed away on July 23, 2018 at the Rose Monahan Hospice Care Home in Worcester. Walter became President of Westborough Savings Bank in 1969, an office which he held until his retirement in 1994. Walter took part in a few interviews here at Westborough TV. One about the history of 33 West Main, former Westborough Savings Bank, and now WTV’s beautiful home. He was also covered in an interview with Dennis O’Neil last fall in a segment of “My Westborough Memories.” Watch the videos via the links below.